Two self contained luxury cottages amidst an orchard of chestnut trees. Relax in the spa and enjoy the open woodfires. 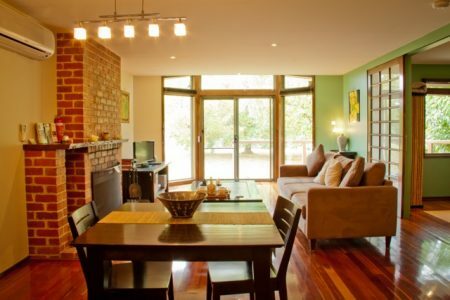 The cottages offer spacious lounge, stylish interiors and fully equipped kitchen. Generous breakfast provisions are provided for a fully cooked breakfast. Ideal for families and couples. Also Pet friendly.